We have a lot of crayons at our house! My mom gave us a huge basket full of crayons that are probably from when I was a kid that she had saved; plus every restaurant, birthday party and trip we’ve been on in the past three years has always yielded just a few more crayons here and there. 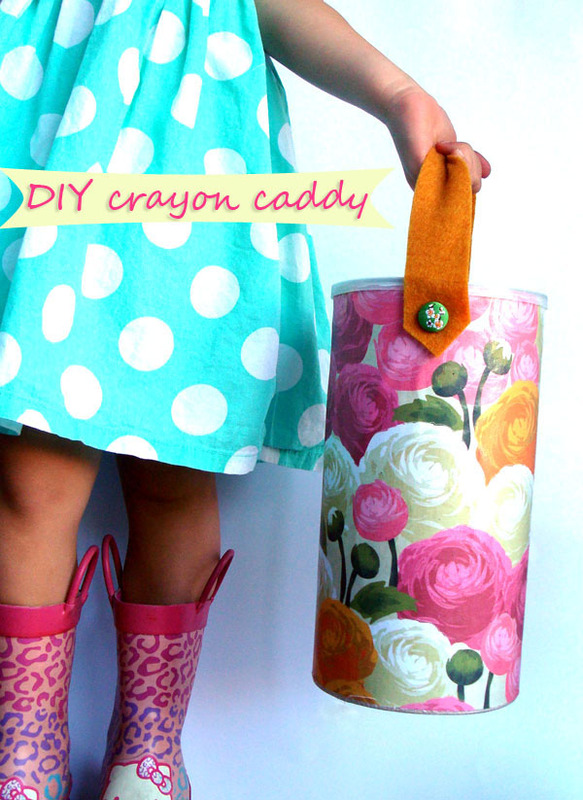 I got to thinking about how to store them in a fun way and came up with this crayon caddy for our playroom. 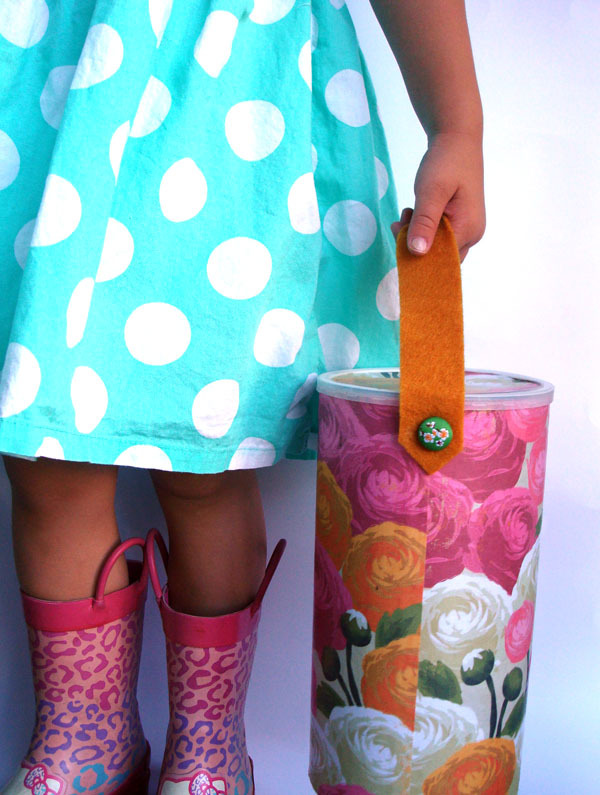 I thought I could make the outside of the container look modern and give it a handle for Gemma to carry around. 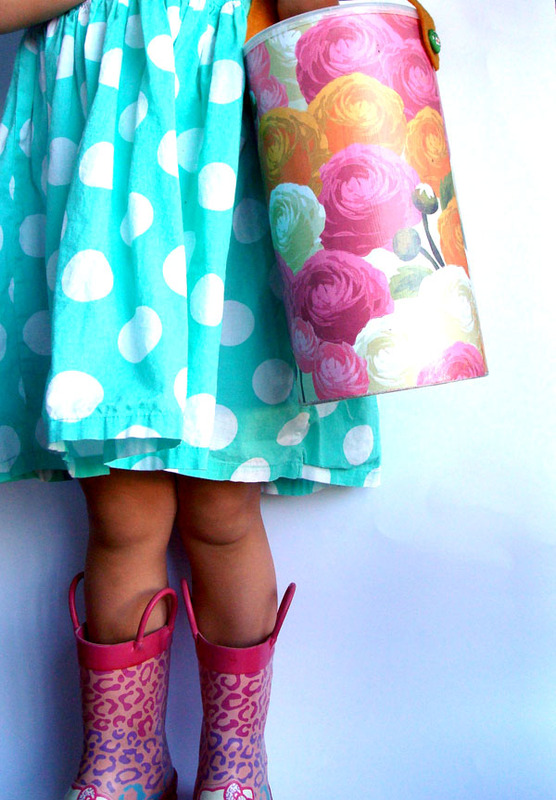 I made this project using simple supplies you probably already have around the house. 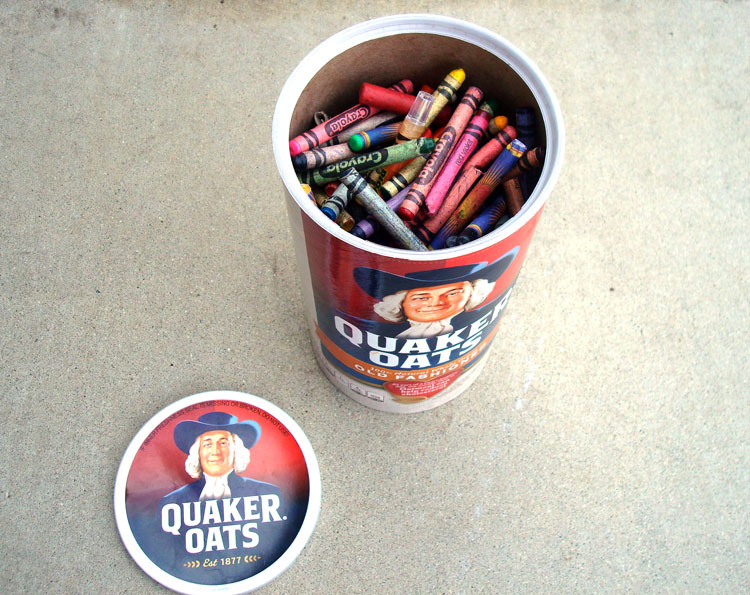 Empty out oatmeal contents and make sure container is clean. 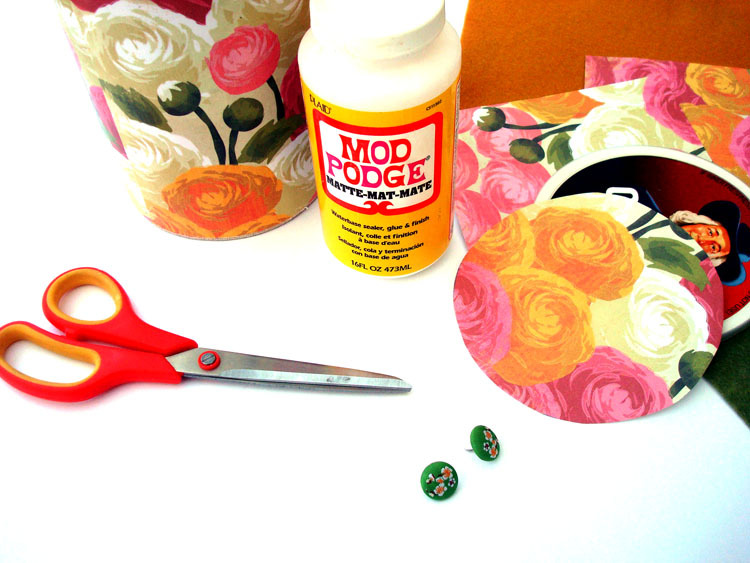 Measure and cut scrapbook paper to fit around the oatmeal container — I used about 1 1/2 sheets. 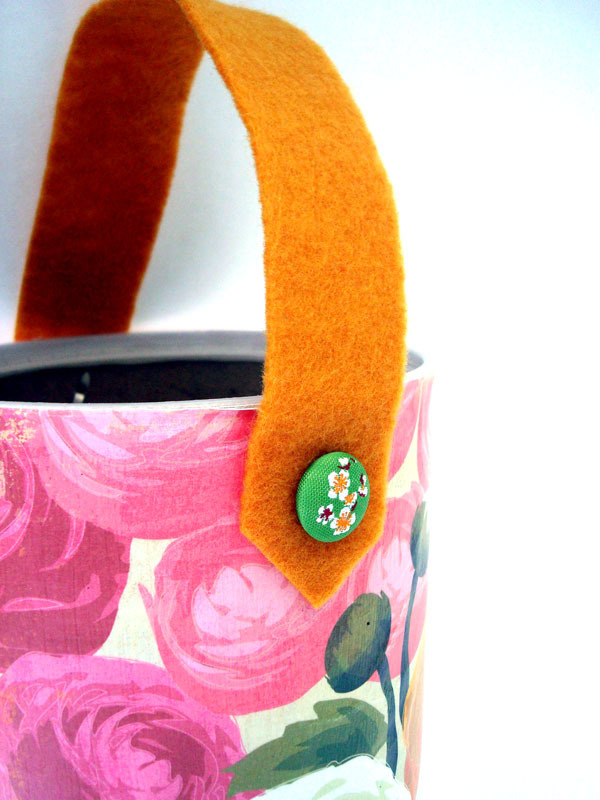 Measure and cut circle from scrapbook paper for the lid. 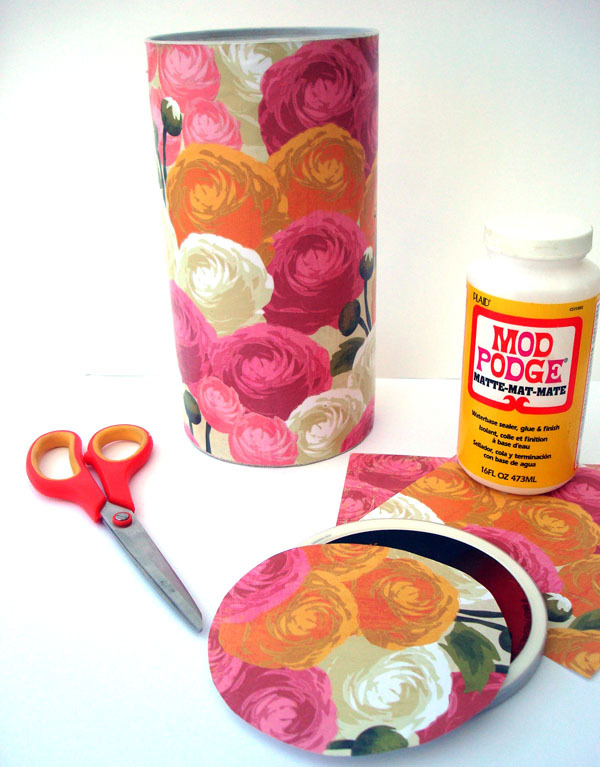 Mod podge scrapbook paper to oatmeal container very neatly, sealing the entire outer side of the paper for a hardened finish. Repeat this process for the lid. Let everything dry. 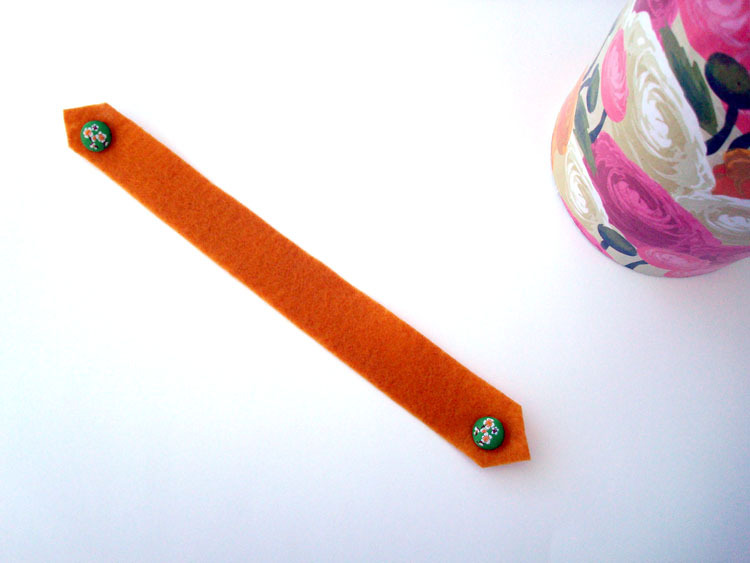 Cut a 1″w x 10″l piece of felt with pointed tips as shown above. Use scissors to start a very small hole on both sides where brads will attach. When the container is dry, simply attach the handle with brads and enjoy!